Designed from one of the first flying wing plans that was for leisure flying. Later developed into a fighter aircraft with two cannons on the wings. 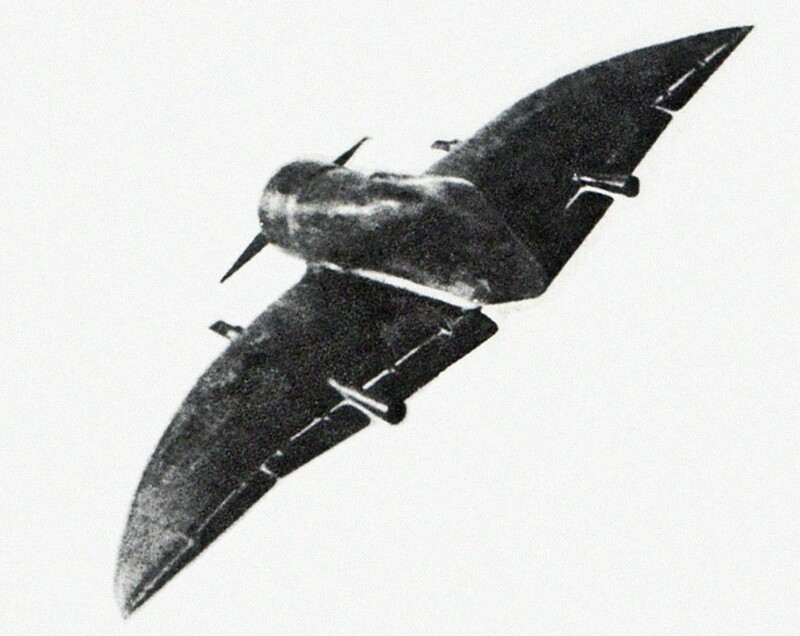 A single vertical tail, blended into the cockpit like the Gee Bee racers. A 480 hp engine swinging a single two-bladed prop. A very early example of the use of elevons for control surfaces. I want to know what this thing is!!! It is a wing tunnel model of the BICh-17.